The following post is from People Operations Generalist, Emily Staebell, and Corporate Recruiter, Margho Dunahoo-Kirsch, who help manage the Return to Work program at SendGrid. In support of SendGrid’s commitment to diversity and inclusion, they share details of the program and its participants below. Here at SendGrid, we are always striving to think of the next out of the box idea to hire the best of the best for our company. 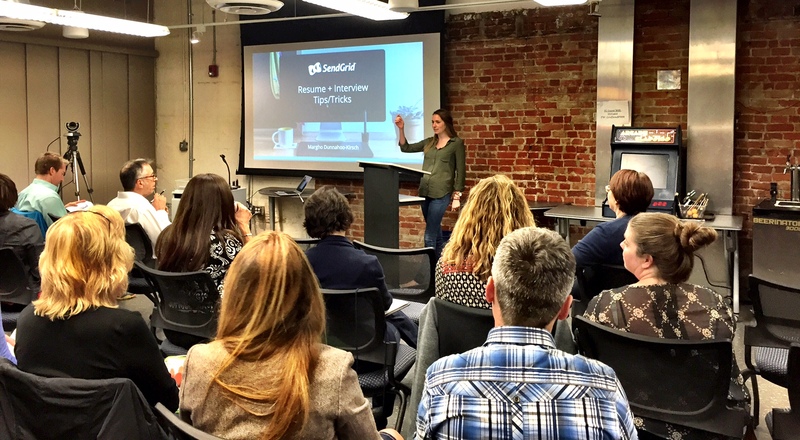 Opportunity came knocking on SendGrid’s door when we were invited to participate in the third wave of Return Path’s Return to Work (ReturnShip) program this fall. The pivotal Return to Work program creates meaningful career opportunities for mid-career individuals who yearn to re-join the workforce after a hiatus. What might seem like an easy transition actually poses a dilemma for job seekers with employment gaps. It can be an instant showstopper in the candidate screening phase. The more time that passes, the bigger the gap, and the more difficult it becomes to actually “re-join.” It is a blaring catch-22. Women who take time out of the workforce pay a big career penalty. Only 74 percent of professional women will rejoin the workforce in any capacity, and only 40 percent will return to full-time jobs. Those who do rejoin will often see their earnings decrease dramatically. To remedy this challenge, Return Path amplified the opportunity to top growth tech companies in Colorado that care about people and cultural caliber. When we heard of the opportunity, by way of Return Path’s People Team, we oozed with excitement to combat the “re-joining” hurdle. Gain experience with non-traditional job structures for increased organizational agility. Increase candidate pool with diverse talent. Be leaders in the community regarding diversity hiring and programs. Increase workplace flexibility to attract, retain, and engage talent. Hire 50% of Returnees into permanent positions. We officially joined forces with Return Path, ReadyTalk, MWH Global, SpotXchange, and Moz to hire a cohort of more than 30 Returnees into respective positions. Within our own organization, we chose to open three Return to Work positions to help build an intimate community of Returnees within SendGrid. We zeroed in on strong hiring managers to make certain that the right managers were in place to successfully support the Returnees. 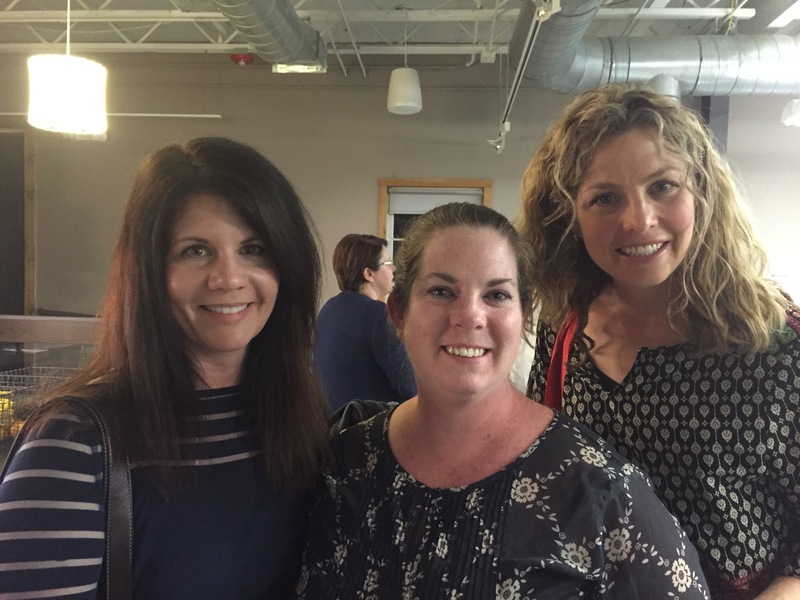 The Grid welcomed Bridget Kelly (Customer Success Associate), Gina Orton (Support Engineer), and Shelly Miley (People Ops Assistant) on October 5th. All were equipped with a hearty new hire orientation, onboarding plans, and supportive teams. All three of the Returnees have very similar stories. All parted ways from their corporate jobs to take care of their families and all had a strong desire to re-enter the workforce. Luckily for the Return to Work program, they found a relevant opportunity and a home at SendGrid. The Return to Work program offers supplemental learning and networking with a “How to Get a Job” series. These events are hosted at participating offices throughout the program (October 5, 2015 – March 9, 2016) and nurture the Returnees’ professional development. Whether it is at their current organization or a future role, we want to give them the tools and skills to be the best they can be. Most recently, we hosted “Tips and Tricks for Resume and Interviewing” at our Larimer Square office to a group of 40 Returnees. We highlighted the do’s and don’ts of resumes (example: no picture on your resume, unless you are going for a modeling gig), the importance of networking, and how to confidently prepare for and crush an interview. And most importantly, don’t freak out if you have no relevant experience or a gap in your resume. If there is a gap, look for transferable skills, relatable projects, and use data to quantify your accomplishments–and of course, just be honest. We were overwhelmed by the hunger, energy, and thoughtfulness of the attendees. These are strong individuals who want to better their development. This kind of energy is contagious. Our participation with Return to Work leveraged a new way of tapping into a diverse talent pool. As it relates to our diversity and inclusion initiative, it is an evolving growth strategy that specifically targets community and culture. Community – We are afforded a deeper level of diversity participation and accountability by championing Return to Work. By supporting one of many community groups, we increase our participation across the diversity spectrum. Culture – To foster one of our four values, humility, we actively foster an inclusive and aware culture. Our employees understand why diversity matters and are encouraged to participate. The Return to Work awareness around the office has elicited a refreshing perspective for our employees. They see these strong Returnees, who have significant gaps in their careers, coming up to speed faster and making immediate contributions. It is an invigorating and exhilarating energy. We are growing up as a company. As we scale, it is crucial to mature internally and externally while retaining a rich culture and diverse organization. Our participation with Return to Work will encourage us to hone in on the diversity pipeline. If we continue to focus our efforts on recruiting diverse talent, then there is no doubt that our hiring will yield qualified candidates who will bring their unique experiences and perspectives to the table. For more on SendGrid’s diversity and inclusion strategy, read SendGrid’s Sr. Director of People, Josh Ashton’s blog post: Diversity and Inclusion at SendGrid | Past, Present, and Future.